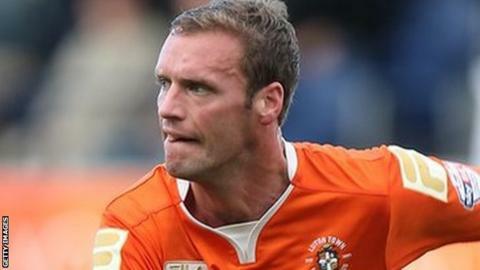 Andy Drury's late strike earned promotion-chasing Eastleigh victory over struggling Southport. The hosts had the better of a goalless first half and did have the ball in the net, only for Jai Reason's follow-up effort to be ruled out for offside. Port keeper Max Crocombe made several fine saves to keep the visitors level. But the Spitfires finally scored in the 84th minute when Drury tapped the ball home after Crocombe had pushed away Josh Payne's dangerous cross. Match ends, Eastleigh 1, Southport 0. Second Half ends, Eastleigh 1, Southport 0. Offside, Southport. Jack Ryan tries a through ball, but Jack Ryan is caught offside. Attempt blocked. James Constable (Eastleigh) right footed shot from the centre of the box is blocked. Assisted by Andy Drury. Substitution, Southport. Courtney Cameron replaces Paul Rutherford. Attempt missed. Joe Partington (Eastleigh) header from the centre of the box is too high. Assisted by Andy Drury. Attempt saved. Ben Strevens (Eastleigh) left footed shot from the right side of the six yard box is saved. Goal! Eastleigh 1, Southport 0. Andy Drury (Eastleigh) left footed shot from the left side of the six yard box to the high centre of the goal. Assisted by Josh Payne with a cross. Attempt blocked. Andy Drury (Eastleigh) left footed shot from the left side of the six yard box is blocked. Jack Ryan (Southport) is shown the yellow card for a bad foul. Foul by Jack Ryan (Southport). Substitution, Southport. Charlie Joyce replaces Liam Nolan. Attempt missed. Adam Blakeman (Southport) left footed shot from outside the box misses to the right from a direct free kick. Substitution, Eastleigh. Robbie Willmott replaces Jai Reason. Attempt missed. Liam Nolan (Southport) right footed shot from outside the box misses to the left. Substitution, Southport. Jack Ryan replaces Andy Bishop. Offside, Southport. Andy Bishop tries a through ball, but Andy Bishop is caught offside.